This sandy beach is one of the most popular beaches on the island, near the famous Paradise Beach with easy access to the sea, which makes it suitable not only for children but for all water game lovers like picigin. In the shade of the trees on the beach there are several restaurants with excellent food and drink. There are also many offers for renting recreation and entertainment equipment as well as beach chairs and umbrellas. 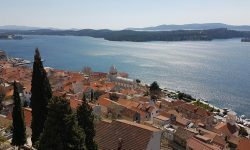 The island of Rab is a famous tourist destination with beautiful beaches and picturesque bays. 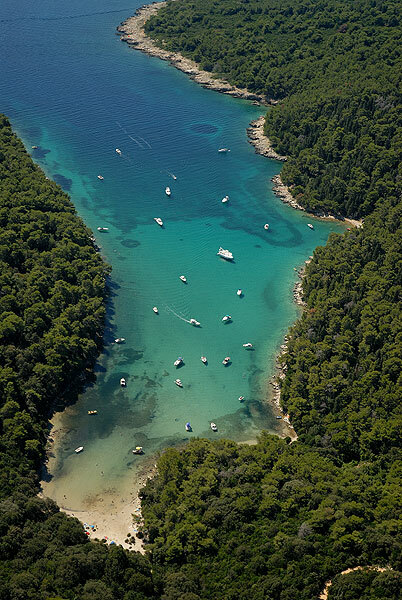 The forested green peninsula Frkanj attracts many swimmers with its beautiful hidden rocky beaches. 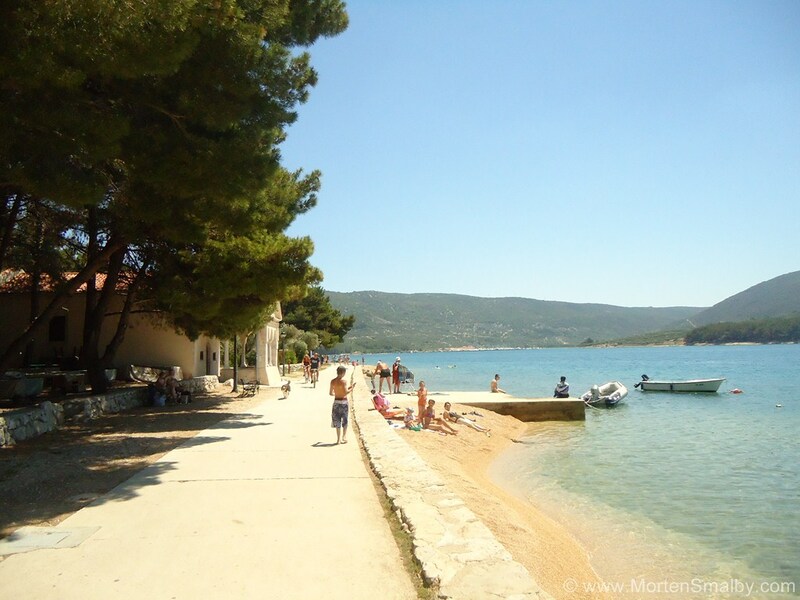 The most famous beach Kandarola is found here, a naturist beach where you can rent a taxi boat that goes to the beach and back to the port of Rab. The beach is clean and a variety of activities can be practiced that fit perfectly into the natural environment. It is surrounded by rich flora and fauna and sharp rocks that rise from the sea. On the beach you can find showers, a bar, a restaurant, a water slide for kids and volleyball on the sand. Sahara Beach is one of the most famous naturist beaches in Lopar. Located near the popular Paradise beach, but at the same time far enough to provide you with all the necessary privacy. The beach can be reached by marked forest trails over the hill with a beautiful view or by sea. Sahara Beach is a sandy beach with low vegetation and below it there is a dense vegetation that provides the necessary shade. On the beach there is no additional content, so you should take with you everything you need. During the summer season here sails a boat which offers cold drinks, snacks and fruit. Sahara Beach is never crowded which is perfect for shy nudists who can completely relax here. Lopar is a picturesque town that is surrounded by numerous bays and sandy beaches. 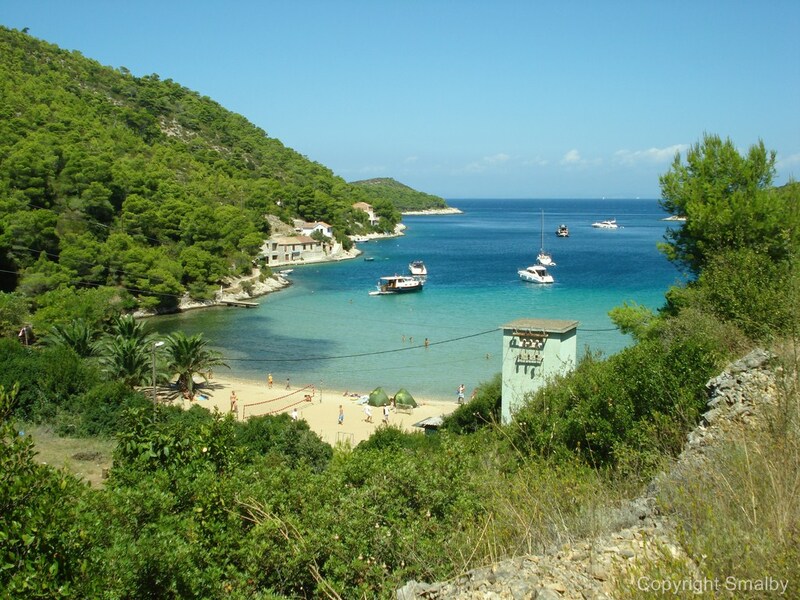 Some of the most beautiful naturist beaches on the Adriatic are hidden here. Opposite the famous tourist destination of San Marino is a beautiful naturist beach, sandy beach Ciganka (Gypsy), hidden in a bay surrounded by cliffs. The beach can be reached by foot on marked trails or by sea which is certainly a much better option for the elderly and children. The beach Ciganka has no extra facilities, only the crystal clear sea and sand with some vegetation. The most famous beach in Lopar which stretches for 1.5 km and has many tourist facilities with a rich cuisine. The beach is sandy and shallow making it ideal for small children and non-swimmers. There are lifeguards on the beach so that the swimmers can safely enjoy all the summer activities. Paradise Beach is great for water sports, and there are many sports fields, bike trails, scuba diving, and you can rent scooters or freshen up in one of many bars and restaurants at the beach or above the beach in the tourist resort of San Marino. The beach has been awarded the Blue Flag, a symbol of high sea and environment quality and a variety of tourist contents. 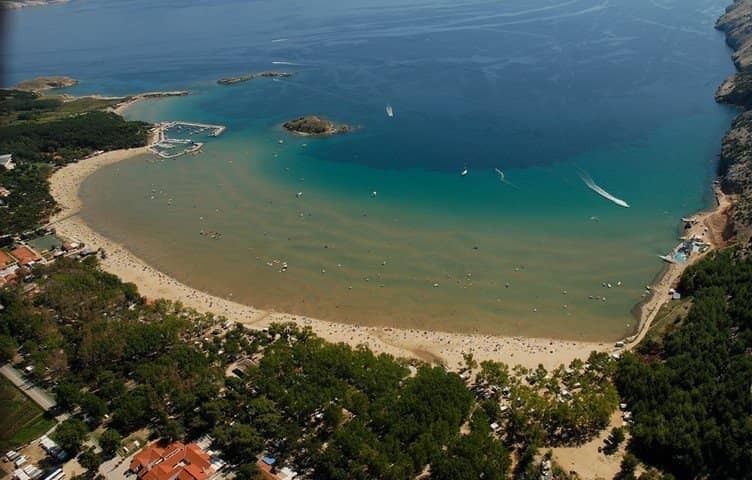 Sandy beaches on the island are also in Supetarska Draga and Barbat, while in the center of the town of Rab there are beaches near park Komrcar and they are mostly maintained public beaches of concrete and stone. Supetarska Draga in its vicinity has three islets: Maman, Mean and Sailovac where there are also beautiful sandy beaches. These islands are known as a favorite destination for surfers.